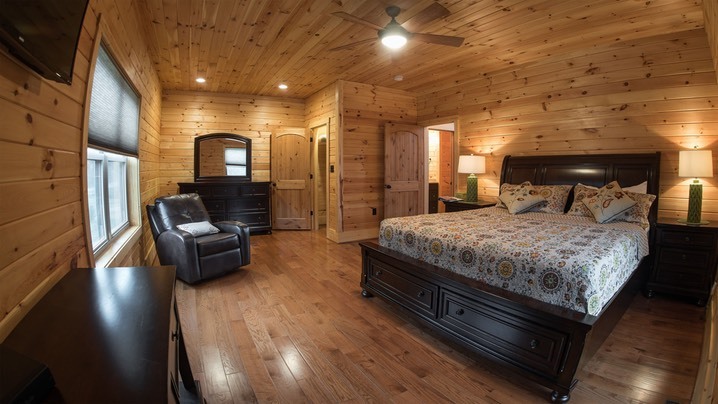 The #1 Mother Goose cabin—just built in’16—comes with a king bed bedroom on the main floor and two queen beds in the large loft area. and large screen TV with Direct TV. The sofa has two reclining chairs for your relaxing pleasure! 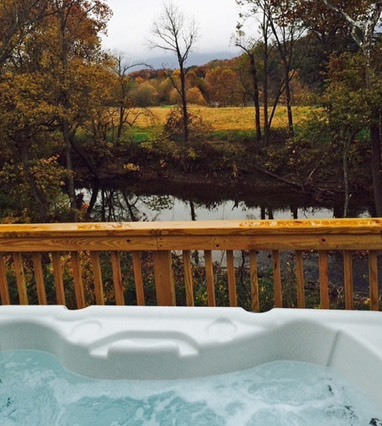 The hot tub is on the deck overlooking the Shenandoah River and the view of the mountains. 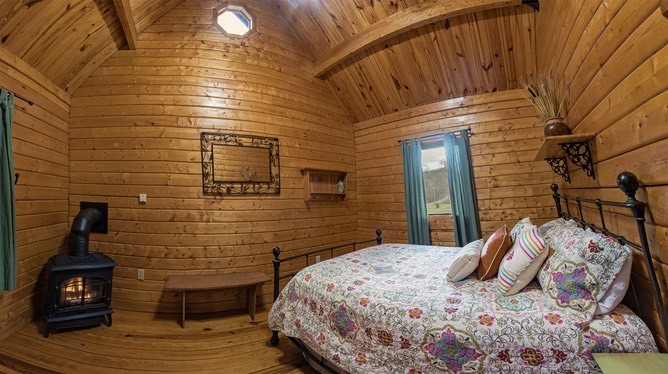 Mother Goose has a King Bedroom and two Queen beds in the Loft. 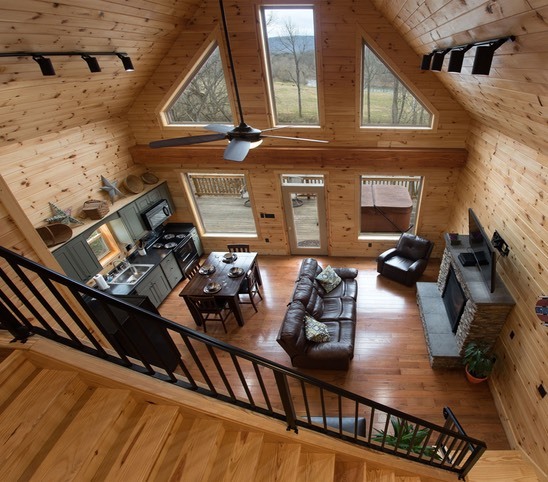 Down below is the “game room” and washer/dryer. 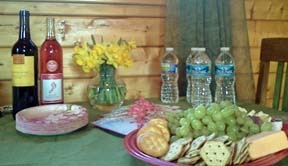 Outside is the fire pit, picnic table area by the river bank. 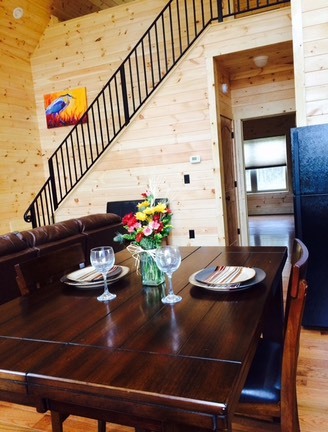 Book soon as the calendar will fill up fast on this new cabin! 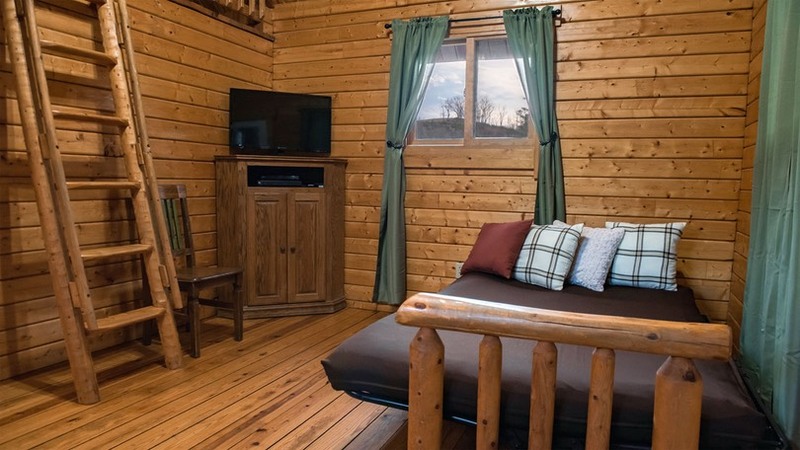 The Goose and Gander cabins have a back bedroom with a queen bed and a propane fireplace. 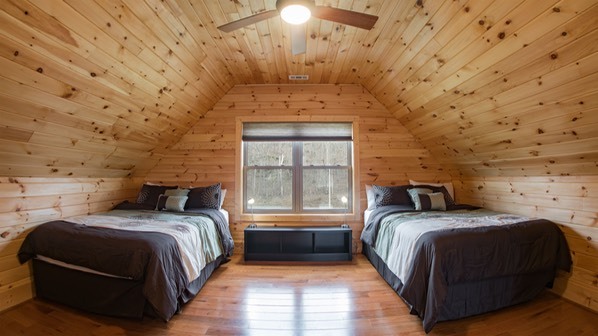 There is a double bed in the loft and a double bed futon in the living area. There is a shower stall bathroom off of the living area. 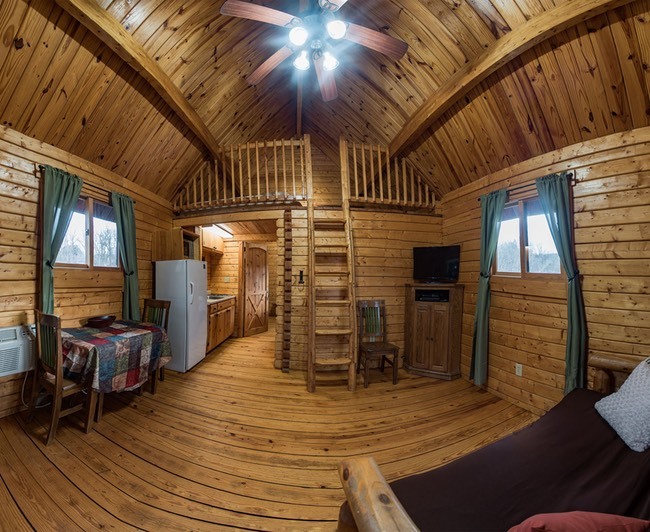 The cabins have electric heat and air conditioning, satellite TV. 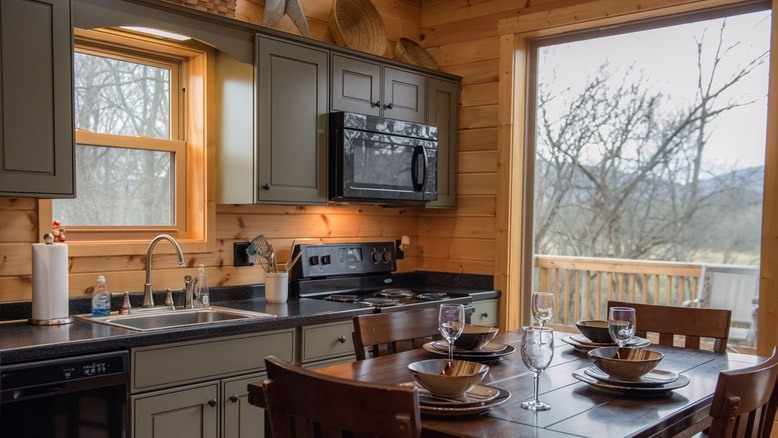 The mini kitchen has a 2-burner stove top, small sink, coffee maker, refrigerator, microwave/toaster oven, dishes, pots for 6. 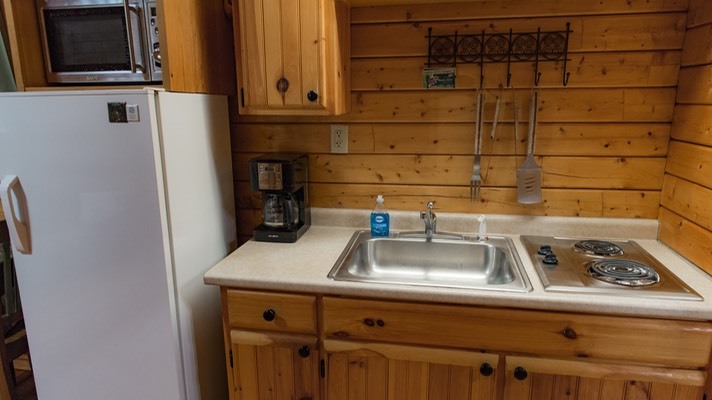 We provide a Starter Kit for the cabin: paper towels, dish soap, sponge, garbage bags, toilet paper and bath mat. 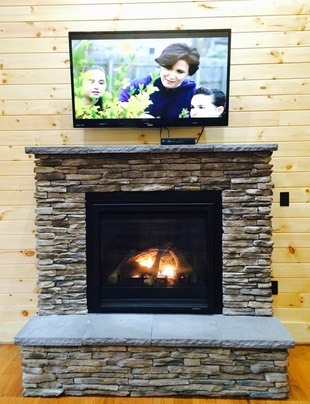 The propane fireplace in Main bedroom with the Queen bed. There is a ladder to the loft where there is a double bed. The bathroom is beside the kitchen. 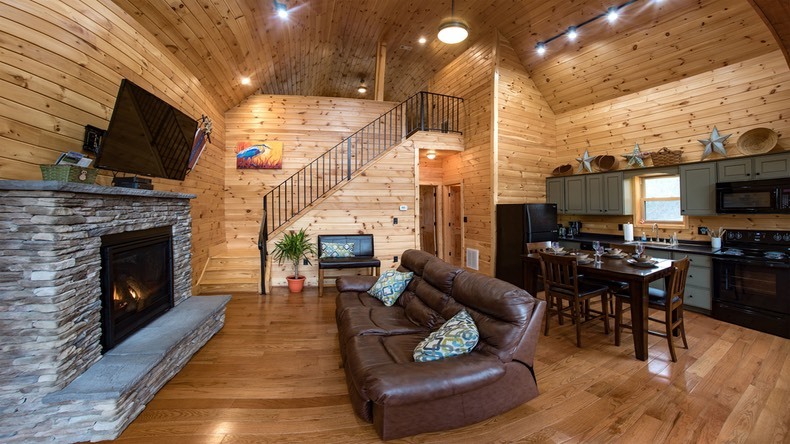 The living area has the double bed futon, the TV & DVR and the dining table for planning your trips to Luray Caverns, Shenandoah National Park and more. 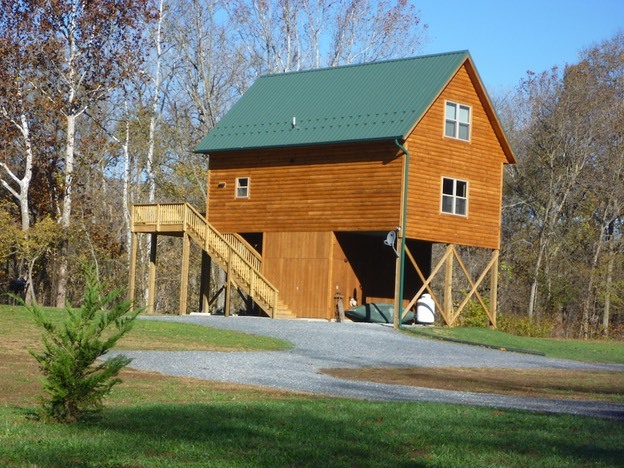 So now you have to choose--watch the 32" flat screen Direct TV or go enjoy the hot tub! What a choice!! Horseshoes, volleyball net Private Boat launch Canoe-please bring your own lifejackets! Bring your supplies for a great Time! 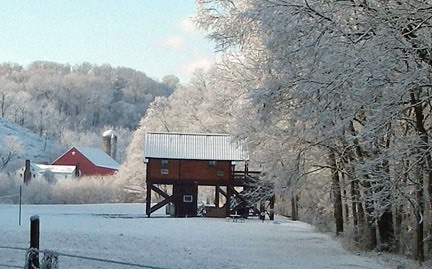 Or visit one of our great restaurants or our area attractions!